We add more efficiency to our partners' value chains. 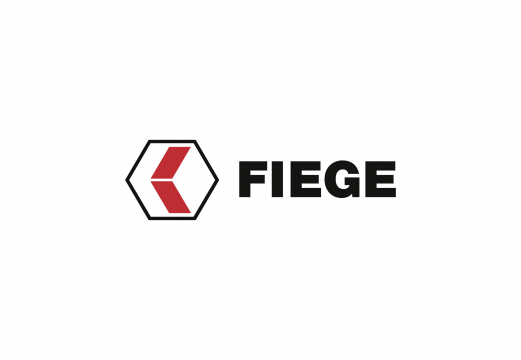 FIEGE is a family-run company in the fifth generation. To us, our customers are our partners. We optimise the value of every aspect of their process chains, even offering proprietary solutions, inclusive of the complete fulfilment of all logistical activities. Innovation and long-term thinking have made us one of Europe’s leading contract logistics companies. As a modern enterprise, we constantly evolve – thanks to new technologies and ideas. We are the specialist in our focus sectors. Developing integrated customer solutions is our core competence. With a workforce of over 12,900 based at 185 facilities, we create made-to-measure solutions. Whether fashion, industry or full-service eCommerce: We find the optimal solution for your demands with a highly cost-efficient approach. Our Europe-based Mega Centers offer just the right warehouse for your storage needs. We even develop the very cross-border solution your international operations call for. The latest news from the world of FIEGE. Stay informed. 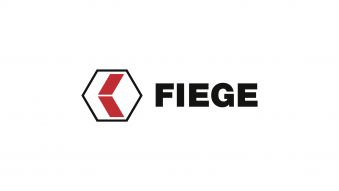 Become part of the FIEGE family. We are the specialist for our focus markets. Enjoy individual sector-specific solutions from us, your specialist in contract logistics. From production and procurement logistics to intra logistics, to the distribution of your merchandise - we offer all of these services to you from a single source. Whether flat textile goods or hanging garments, as the leading fashion logistics company we have the solution that fits your requirements. We have developed precision concepts for pharmaceutical, hospital and medtech logistics respectively. Together we will work out a made-to-measure supply chain solution and actively advance a wealth of optimised processes. As a service provider and partner we have the experience and the tools to optimise and modernise transport and supply logistics. Consumer electronics, lifestyle, sports or fashion - as a genuine multi-channel service provider, we supply the traditional retailing industry and online trade in equal measure. As the leading service provider in tyre logistics we take care of your tyres the minute they roll out of production. Development of holistic customer solutions is our core competence. Cross-border eCommerce is a growth driver in China’s online trade. For you, this translates to online retailing straight from Europe to your Chinese end consumers. From export accompanying document to customs inspection - we help you to clear your products. From order and payment processing, to risk and customer management, to the professional handling of returns, we provide the full spectrum of fulfilment services. Whether you need standard pallet racking or highly-complex conveyor systems: from detailed planning to successful implementation, we stand for competent project management in all logistical disciplines. Whether by plane, train, inland vessel or at sea - our tightly networked supply routes ensure both the economically and ecologically efficient handling across all transport channels. As an independent industry insider we make sure that your parcels, large goods and special shipments reach their destination safe and swift. From property development to investment control, to facility management - we stand by your side as a reliable partner for all things real estate. When standard vehicles fail to live up to your specific needs, we design and build customised solutions.